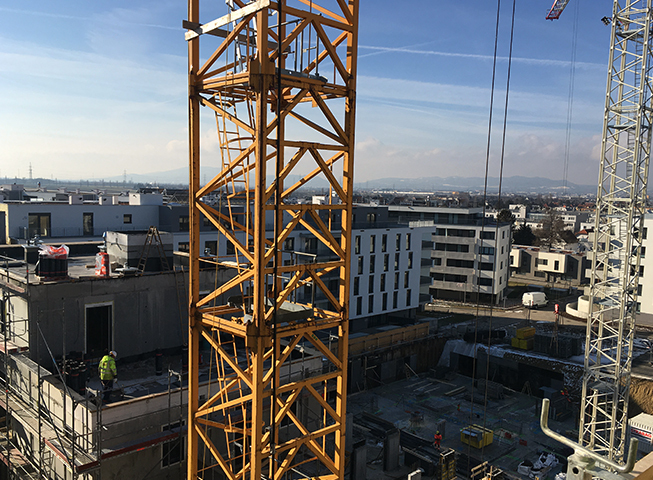 Before the end of the year, the structure for the first construction phase was already in place. 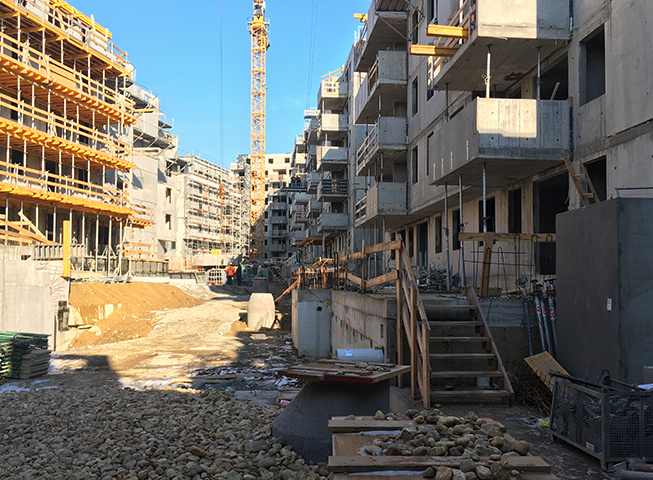 The remaining building components are close to being completed and the entire architectural ensemble is already clearly noticeable, including the courtyard spaces located between the buildings and to the neighbours. 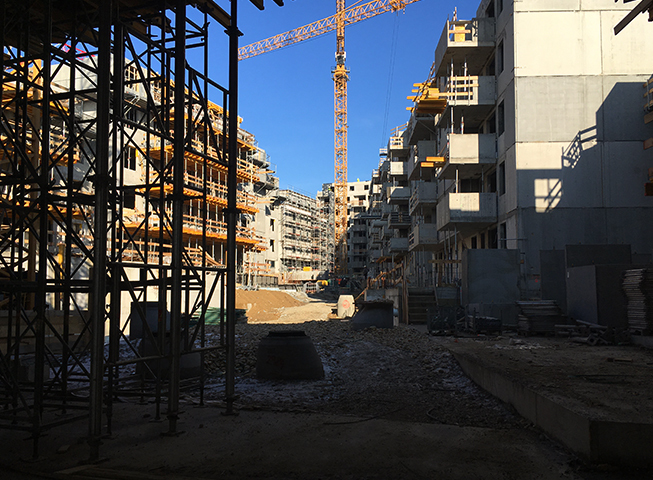 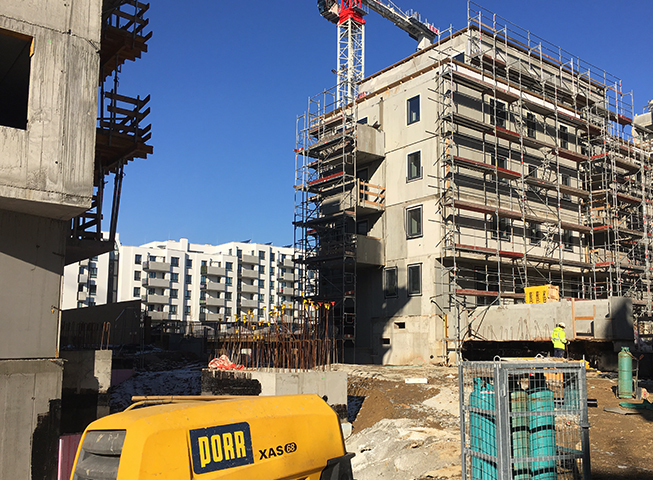 The later lively inner courtyard is still marked by an active construction process, from the upper floors you can already enjoy the view through the cranes.